Are you a good witch or a bad witch? We think it's all a matter of perspective. While we might assume that a witch with green skin has evil intentions but we stand by the idea that you shouldn't judge a book by its cover. Just think about it, why would a witch have green skin? We're pretty sure that any crafty conjurer would spend a lot of time mixing potions over a cauldron. Maybe her verdant hue is caused by boiling all those mysterious herbs! We shouldn't assume that all potion masters are malicious! 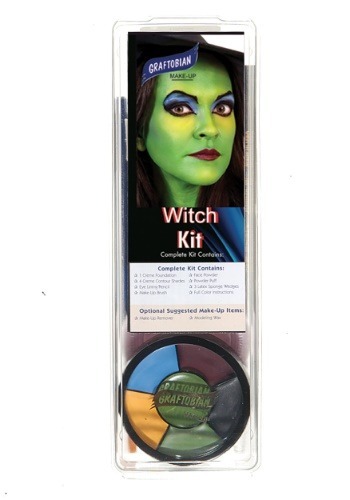 This is all to say that whether you're a good witch, a bad witch, or simply a neutral lady with mad mystical skills, you're going find that this makeup kit comes in handy! This color wheel has the colors you need to create a witchy look whether you're keeping your look simple or shooting for a Pinterest worthy appeal. 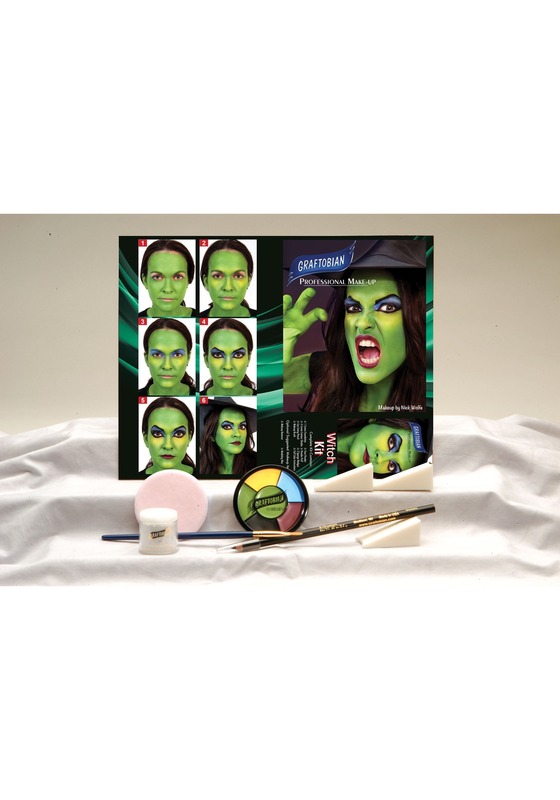 You'll receive an insert with full-color color instructions so you'll know how to achieve the makeup that you have in mind. You'll also need a sponge applicator and makeup remover to make clean up a breeze. So, if you've got your pointy hat picked out, your broomstick polished, and your curses at the ready, it seems you're ready to take on a magical facade. No Frogsbain or Eye of Newt needed to achieve this hag-like appearance. We've got your greenish hue covered so you can be sure that you'll fit right in at your next coven get together!